My Grand Mother Burhoe & My Great Aunt Marjorie McCoubrey taught me how to knit when I was a little girl...When I use to go to my Aunt Marjorie's house I would stay over night she live in the high rise across from market square & we would knit & look out her window & watch the boats...Some times we would go out on the board walk...Then we had our walks to Market Square, we would go in all the little shops & look at all the ornaments & novelties...Some times we would buy something & get a piece of fudge at the fudge stand in the center of market square... When I would go to my Gram's house I would also knit when i was there...Gram was always knitting socks, mittens & she made me a blanket witch I still have...lol It has come apart several times & she would always fix it for me...I still use it to snuggle & the kids are not allowed to use my blanket because it is so warm & cozy...lol I actually made my daughter her own blanket & I will have to make 3 more for all them to have one...My mother inlaw taught me how to follow knitting patterns. God rest her soul. She is truly missed. 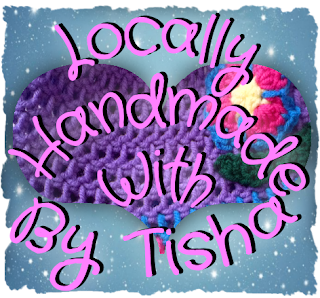 Visit Tisha's profile on Pinterest.